The greatest goddess of the Baltic people - the Lithuanians and Latvians - was the shining sun, the sky weaver, the amber goddess Saule. She ruled all parts of life, from birth into her light to death when she welcomed souls into her apple tree in the west. Even the name of the ocean on which the Balts lived was hers, named for Balta Saulite ("darling little white sun"). 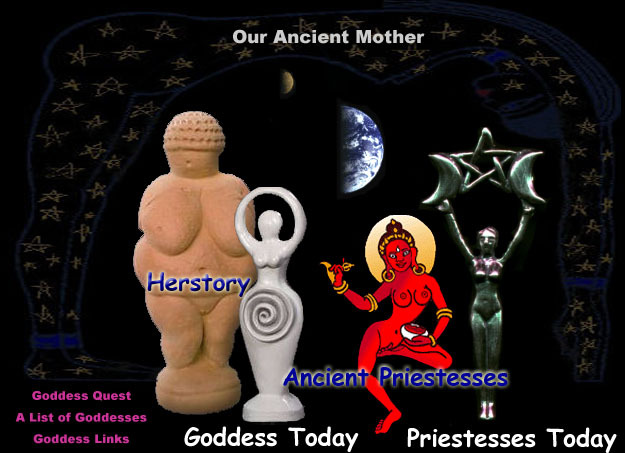 She was worshiped in songs and rituals that celebrated her nurturance of earth's life, for she was Our Mother, called various names like Saulite Mat ("little sun-mother") and Saulite Sudrabota ("little silver sun"). She was married in the springtime of creation to the moon man Menesis. Their first child was the earth; after that, countless children became the stars of heaven. Saule was a hardworking mother, leaving the house at dawn each day and driving her chariot across the sky until dusk. Menesis, however, was fickle and carefree, staying home all day and only sometimes driving his moon-chariot. The light of Saule's life was her daughter (variously named Austrine, Valkyrine, and Barbelina, but most generally called Saules Meita, the sun's daughter), the beloved lady of the morning star. 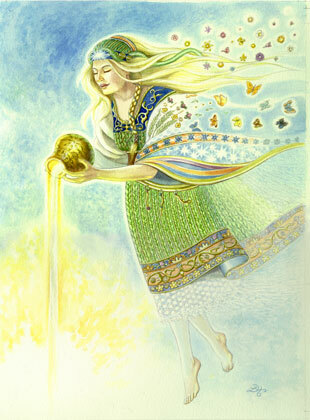 "Saule, my amber weeping Goddess creating light like thread. As "Saules Mat" my mother sun, daily blessing your thankful world with light."